On March 4, there will be much drinking, dancing, and revelry to commemorate Queen Esther’s heroic action that saved the Jews of Ancient Persia from extermination at the hands of the villainous Haman. Esther is celebrated primarily for her bravery, while another intriguing trait is often overlooked: her veganism. In honor of Esther's veganism, why not prepare vegan hamantaschen this Purim? Credit: theppk.com/IsaChandra. According to legend, Esther maintained a vegan diet, while living in the palace of the King of Persia, to avoid violating the laws of Kashrut without revealing her Jewish identity. She dined primarily on a diet of seeds, nuts, and legumes and abstained from all animal products. Thus Esther could be regarded as the first Jewish vegan. While she may have been the first, Esther was certainly not the last. The community of Jewish vegetarians and vegans is growing, both in the United States and around the world. Much like Esther, many Jews are choosing to subsist on a plant-based diet in order to observe their moral principles. Behold, I have given you every seed-bearing herb which is upon the surface of the entire earth, and every tree that has seed-bearing fruit; it will be yours for food (Genesis 1:29). 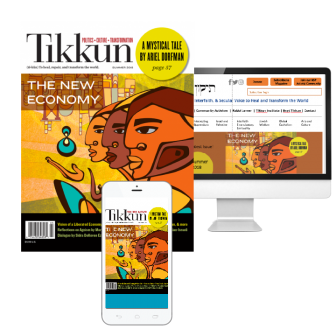 The debate continues to this day, but increasingly Jews around the world are making dietary choices based more on modern reality than on biblical philosophy. The reality in the United States is that 99 percent of all animal products come from concentrated animal feeding operations (CAFOs), often referred to as factory farms. One need only look at a few photos of egg-laying chickens confined in cages so small that they cannot turn around, or one of the dozens of undercover videos exposing workers torturing animals, to conclude that CAFOs are not congruent with the Jewish tenet of preventing cruelty to animals. While many laws of Kashrut are intended to prevent animal suffering, those laws were written in a time before factory farming. Kosher certification says nothing about conditions during an animal’s life—only during its death. Thus the 90 percent of eggs and 99 percent of chicken meat that come from chickens who spend their entire lives intensively confined in sheds can be labeled Kosher. The inside of a cage-free egg facility. Credit: Creative Commons. Other certifications also say surprisingly little about animal treatment conditions, including such terms as “cage-free,” “free-range,” and “humane.” Eggs can be considered USDA certified “cage-free” if the hens are “freely able to roam a building.” What this translates to is 30,000 chickens “freely roaming” inside a shed for their entire lives. Because chickens’ natural flock size is six to twelve birds, it is stressful for them to live with tens of thousands of other chickens. Often they express this stress by pecking at nearby birds. To keep them from injuring or killing each other, birds have the sharp, nerve-filled endings of their beaks cut off without anesthetic. This process is called “debeaking” and is allowable under “cage-free” conditions. The Animal Legal Defense Fund sued Judy’s Eggs, an organic, free-range egg brand in Northern California, for misleading consumers with the wording on their packaging. Credit: Animal Legal Defense Fund. On the left, above, you can see the inside of a carton of Judy’s Eggs, and on the right you can see an aerial photo of the actual conditions at the facility. Judy’s Eggs settled the lawsuit and changed the wording on their packaging, but they are still certified organic and free-range. They also supply larger brands such as Organic Valley and Whole Foods 365. The USDA does not regulate the terms “humane” or “natural,” and so on their own, without a separate third-party certification, those terms are entirely meaningless. Any company can put them on any product. Many debate the ethics of killing animals for human consumption at all, suggesting that the notion of “humane slaughter” is an oxymoron. However, those philosophical questions are nearly irrelevant when 99 percent of animals are raised on factory farms. There is little debate about whether animals kept in intensive confinement for their entire lives and deprived of the most basic natural behaviors constitutes tza’ar ba’alei chayim, the suffering of living creatures. 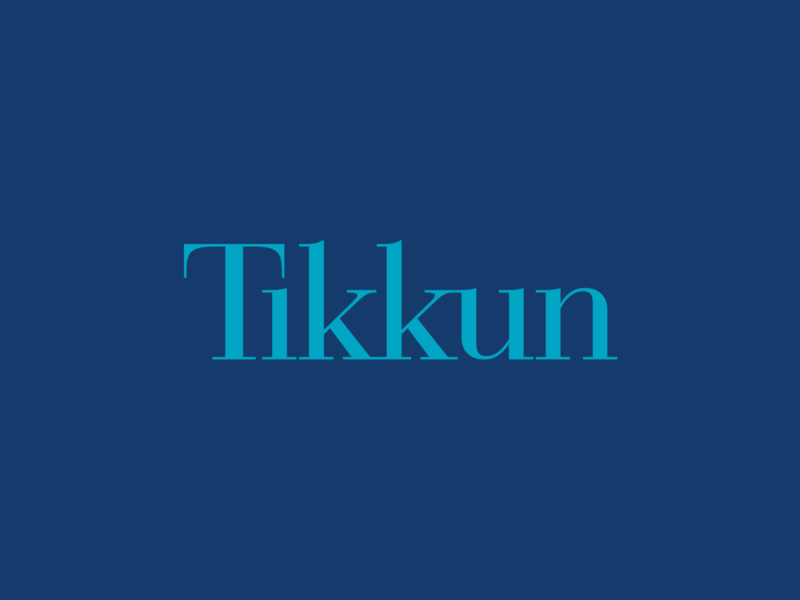 Going beyond the violation of Jewish morals regarding the ethical treatment of animals, industrial animal agriculture is also contrary to the idea of tikkun olam. Animal agriculture is one of the single most destructive industries on the planet—arguably even worse than the oil and gas industry. It is a leading cause of nearly every environmental issue facing us today: climate change, deforestation, water and air pollution, soil erosion, oceanic dead zones, and more. A large part of the problem is animal agriculture’s current scale; there are over 75 billion animals raised for food every year worldwide, 9 billion of them in the United States. All those animals require feed and water, and animals are a very inefficient use of resources. In simple terms, the inputs exceed the output; it takes between 2.5 and 6 calories of feed to produce 1 calorie of meat. Growing all that feed requires tremendous amounts of land, water, and fossil fuels. Worldwide, 30 percent of the earth’s total land surface is used to raise animals for food; animal agriculture is the leading cause of Amazon rainforest deforestation. A recent study by the University of Minnesota found that decreasing global meat consumption by 50 percent would allow us to grow enough food to feed an extra 2 billion people. Chickens inside battery cages. Credit: Creative Commons/Compassion Over Killing. The 75 billion animals raised worldwide also require tremendous amounts of water. A single gallon of milk and a single hamburger each require over 600 gallons of water to produce; that’s the same as a whole month’s worth of showers! When government agencies talk about saving water, they often mention turning off the tap when we brush our teeth, or taking shorter showers. But in California, consumers account for only 4 percent of water usage; the meat and dairy industries account for nearly 50 percent. To make matters worse, factory farms pollute the remaining water. Farm animals in the United States produce 130 times as much waste as the entire US human population combined. Yet there are no sewage pipes or treatment plants for all that waste. Most of it is stored in 20-million-gallon “manure lagoons” and then sprayed onto surrounding land or dumped into nearby rivers. According to the EPA, waste from factory farms has polluted over 35,000 miles of river in 22 states, killing over 13 million fish and leading to toxic algae blooms. Manure runoff and algae bloom downstream from an industrial dairy operation in Northern California. Credit: Katie Cantrell. In addition to producing copious amounts of manure, animals directly emit greenhouse gases. According to a report from the UN Food and Agriculture Organization, animals raised for food produce more greenhouse gases than all global transportation—that’s more than all the planes, trains, and automobiles in the world combined! Animal agriculture is such a large contributor to climate change because it is one of the leading man-made sources of methane and nitrous oxide emissions. Methane is 30 times more potent than carbon dioxide, and nitrous oxide is over 200 times more potent than CO2. So what’s coming out of cows is up to 200 times worse for the climate than what’s coming out of our cars. A study by the University of Chicago found that adopting a vegan diet is 50 percent more effective at fighting climate change than switching from a standard car to a hybrid. A study published in the Journal of Environmental Science and Technology found that not eating meat just one day a week decreases one’s carbon footprint as much as buying local food 100 percent of the time. The Environmental Working Group found that if everyone in the United States participated in Meatless Mondays, it would be equivalent to taking 7.6 million cars off the road. That’s where the good news comes in. Unlike the global energy infrastructure or national policies on carbon sequestration, consumers have direct power over agribusiness corporations. Factory farms can continue to thrive, pollute, and exploit humans and animals only as long as consumers continue to pay for their products. Luckily, we are not imprisoned in a palace with little control over our food choices. With Beyond Meat’s plant-based chicken that fools chefs in taste tests, endless plant-based milks, and an entire cookbook with vegan Jewish recipes from actress Mayim Bialik, this action can be a joy rather than a sacrifice. Whether you start with a veg dinner for Purim, a Meatless Monday once a week, or a 21-day Vegan Kickstart, you can make a large impact by making small changes. Well-done re ethical and practical need for vegetarianism.